The Kemptown area extending along the coast in the East of Brighton is a small community that takes its name from Thomas Read Kemp’s residential estate of the early 19th century. Most of the houses in this area are of the Regency style, with a few examples of Victorian and modern architecture. The center of Brighton is located west of this area historically known as the artists’ district, which is now home to a large gay community and boasts a lively scene of restaurants, pubs, hotels and shops. We highlight the best things to see and do in Kemptown and the surrounding area. Opened in 1899, the Palace Pier has been renamed Brighton Pier since 2000 by the Noble Organization, the structure’s owners. The Pier is one of the main attractions in Brighton and one of its most famous landmarks. With thrilling fairground attractions and a Place of Fun arcade, the Victorian pier also has various food and drink outlets. Come and admire the pier as you go for a stroll along the seaside before going for a paddle. Cycling is definitely one of the best ways to get around Brighton. A bike provides an exciting and entertaining opportunity to get to know Brighton for first-time visitors. With the tour you’ll be able to get a feel of different areas of the city. Carlos, one of the main guides, will make both adults and children have fun with the lively tours. The experience is great for groups of young travelers as well as families. Come and meet a variety of marine creatures at this aquarium located on Brighton’s seafront. SEA LIFE Brighton offers multimedia experiences for all ages, a program of fun educational events and many other activities for children. The aquarium is a great place to visit for families, where you will be able to learn about sea life and become familiar with the aquarium’s mission and their interest in taking care of the ocean and all its creatures. One of the best places to go to have fun with your children in town, the Painting Pottery Café provides the opportunity to get creative painting some pottery for people of all ages. They organize a variety of workshops, parties and birthday celebrations, office gatherings and more. This is a great place to get together and create from Christmas decorations and different ornaments for the house to objects to be given as presents. This exotic landmark in the center of Brighton, located just outside the limits of the Kemptown area, is a Villa built in an Oriental style. Established as a seaside pleasure house for King George IV, this historic house now serves as a museum. The palace itself is a work of art, featuring different furnishings and objects from England, France and China, with gilded dragons, carved palm trees and bamboo imitation staircases. The Music Room and the Royal Bedrooms are a must-see for all the visitors to the palace. A trip to Kemptown is not complete without having breakfast or lunch at this lovely cafe. This place features a French-style boho decor which gives a stylish and casual feel. The food is beautifully presented (check out their amazing salads) and they offer homemade pastries, cakes and bread. Café Marmalade is ideal for brunch as well, and many locals come here to grab a coffee or a snack to take away. Brighton’s 90 minutes traditional city walking tour is another great way to get to know the beautiful seaside town. 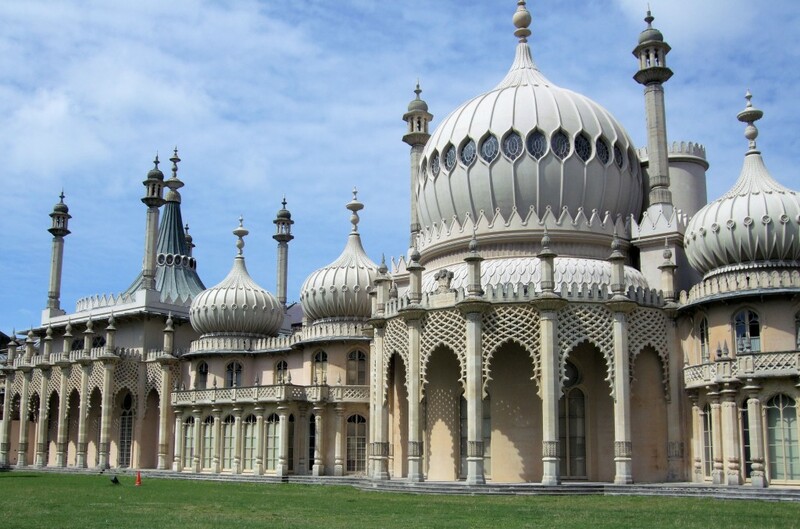 The tour takes visitors to all the major highlights of Brighton and also some hidden gems. Brighton City Walks‘ experienced and knowledgeable tour guides will happily share their local knowledge with visitors. The tours start at Brighton Pier, if you want to join them, call +447941 256148 or visit their website. Set in the heart of the bohemian Kemptown, the Old Bank is a great venue for an informal dinner. This highly acclaimed establishment offers delicious food and great service. 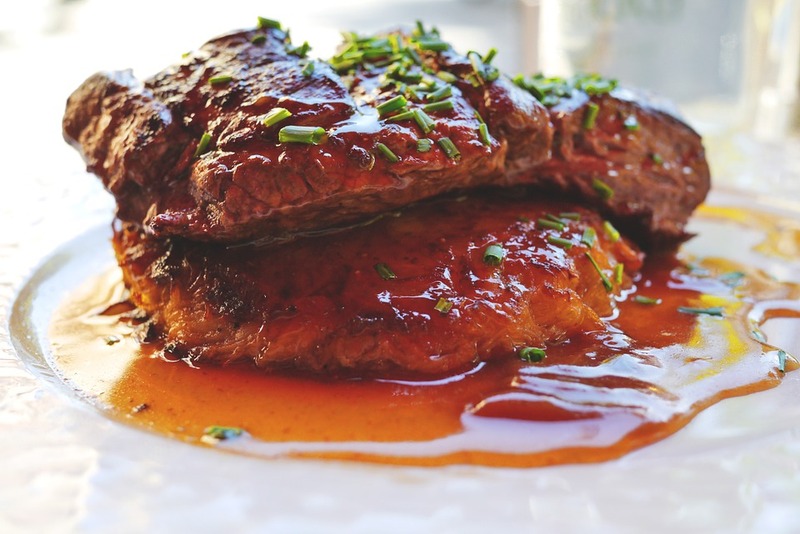 The steak and ribs are obviously a favorite, but the menu also features a good selection of fish and vegetable dishes. Pop in on a Monday night, the ‘ribs and wings night’, which is one of the most popular nights of the week in the restaurant. Located close to the Royal Pavilion, the Komedia Theatre has always played a major role in Brighton’s comedy, theatre and music scene. With over 700 performances every year including comedy, cabaret, theatre plays and kid’s theatre, the theatre features a wide range of performances from both national and international artists and companies. Art and culture are essential aspects of Brighton’s identity. If you walk along St James’ street and the streets nearby you’ll be able to admire an array of paintings, sculptures, crafts, and antique shops. Aside from walking around discovering the different creative outlets, watch out for the Artists’ Open Houses initiative. Many artists in the area take part in the Artists Open Houses festival which is held twice a year, during May and for three weekends in November and December.